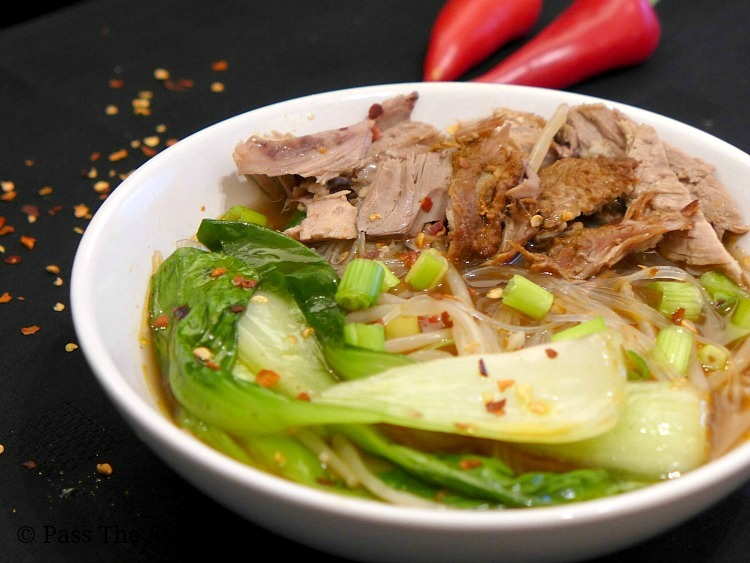 Duck noodle soup, can be prepared in a variety ways, depending on which country you source your recipe from. 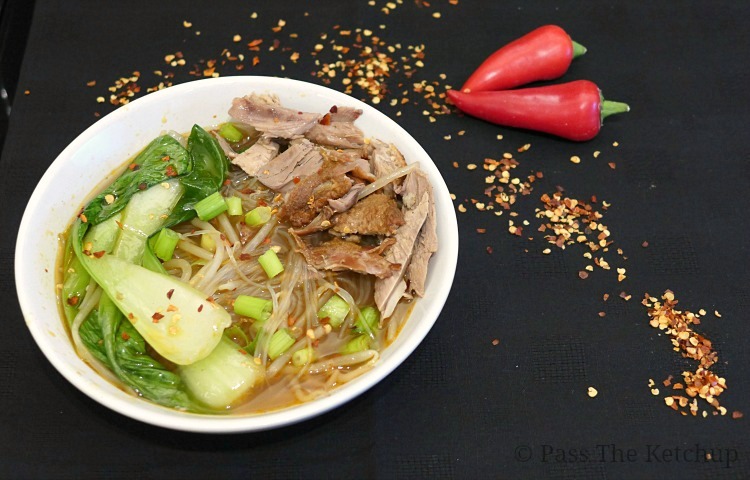 This duck noodle soup uses chillies, fragrant spices and glass noodles to create a duck soup with an oriental flavour. A recipe created to avoid wastage and “stretch” the whole duck we’d roasted during the Christmas period. With added noodles and vegetables, this warming broth-like soup will keep you full for a while. This recipe makes enough soup to last a few days and can be served as a meal either at lunch or dinner time. Hope you enjoy! Add chicken/duck stock, fish sauce, soy sauce, sugar, black pepper and whole chilli to the pot and bring to the boil. Skim off any foam that rises to the broth’s surface and then simmer for 1 and 1/2 hours. Add a serving of the cooked vermicelli glass noodles to an empty bowl and ladle the broth over top. Garnish with freshly chopped spring onions and chillies, if desired. If you tried this recipe and liked it, please don’t forget to click the “thumbs up” button below and let me know your thoughts in the comments section.